Urge the U.S. Department of Health and Human Services to make diabetes screenings a routine part of physicals. According to the CDC, 86 million people in the U.S. have pre-diabetes, and 29.1 million have full-fledged diabetes. Respectively, 90 percent and 27.8 percent don't realize it. 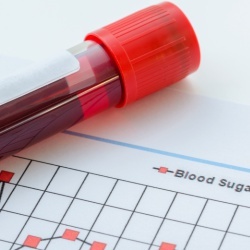 As the statistics suggest, the screening process is highly underutilized, even though the Affordable Healthcare Act ensures free diabetes screenings for adults. A lack of awareness about coverage is one contributor to this problem, which may result in people avoiding screenings. The results of this can be deadly. Undetected pre-diabetes can lead to full-fledged diabetes, and full-fledged diabetes can lead to complications and even fatalities; approximately 71,000 people die annually from the disease. The number of undiagnosed pre- and full-fledged diabetes cases can be reduced if we work to ensure that screenings become more regular. One solution is to ensure that doctors offer screenings during annual physicals to those at risk (those who are overweight or obese, have high blood pressure, and/or have a family history). Doctors should feel comfortable ordering a diabetes screening test during annual physicals and telling patients that the cost of the test is covered by the Affordable Healthcare Act. The test itself is quick and cost-effective; a simple blood test is all that's required and can easily be conducted during checkups. Most importantly, it can save lives. Ask Secretary Sylvia Mathews Burwell of the U.S. Department of Health and Human Services to make diabetes screenings a routine part of physicals to those who need them. As you may know, pre- and full-fledged diabetes are frighteningly under-diagnosed health conditions. I sincerely appreciate the Affordable Healthcare Act, which ensures that eligible adults can receive free diabetes screenings. However, as the amount of undiagnosed patients suggests, this resource is severely underutilized. This is partly due to a lack of awareness. The consequences are monumental. Like any other serious health concern, diabetes ought to be detected as early as possible so that prevention, treatment, and management can begin; otherwise, life-threatening complications may arise. Millions of people in the United States are at risk, simply because they don't know they are diabetic. To protect at-risk individuals, doctors should feel comfortable ordering a diabetes screening test during annual physicals and telling patients that the cost of the test is covered by the Affordable Healthcare Act. If more screenings take place, more would have a fighting chance against diabetes, simply because they were given an early diagnosis. Remind me to click daily at The Diabetes Site (manage and customize your newsletters any time). That's 5,360 signatures! Let's keep the ball rolling.